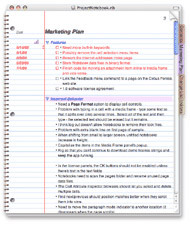 Over the past few days, I’ve done a large update/revision of the Mac note-taking and journal software page. There was very little there before and now there is hopefully an up-to-date guide of sorts that can point you in the right direction if you are looking for information on applications to help organize and manage genealogy research. I’ll be expanding it and doing full reviews of some of the software mentioned. It’s going to cover a lot of the questions I receive in email and hopefully clear the air on some things. We don’t directly sell or develop genealogy software is one example of a question I get asked about a lot. The overall focus of the FAQ section is going to be on helping people who have migrated from Windows or older Macs and the genealogists migrating from Windows or older Macs section will be expanded greatly in the next few days. I’ve got a lot left to do on it, but you can see the start of what it will be from the above links. If there is anything you think that needs to be added or expanded, please contact us.